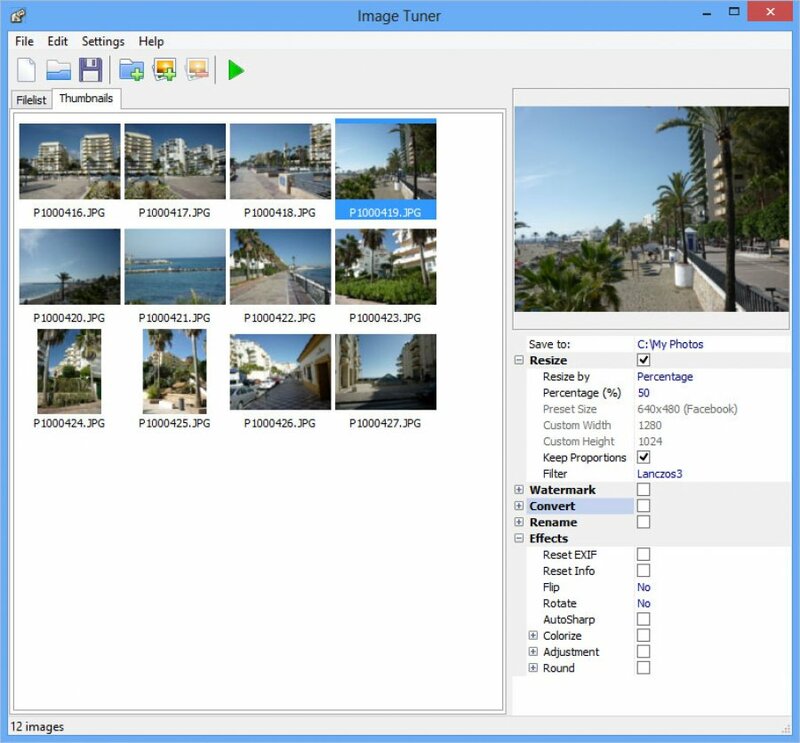 Image Tuner is an easy-to-use image editor that supports most popular file types like TIF, GIF, JPG and PNG, as well as unprocessed RAW images. It comprises a few handy tweaks, such as resizing, watermarks, conversion and renaming. It is a very recommendable program that allows you to convert size and format of lots of photos in just one click. 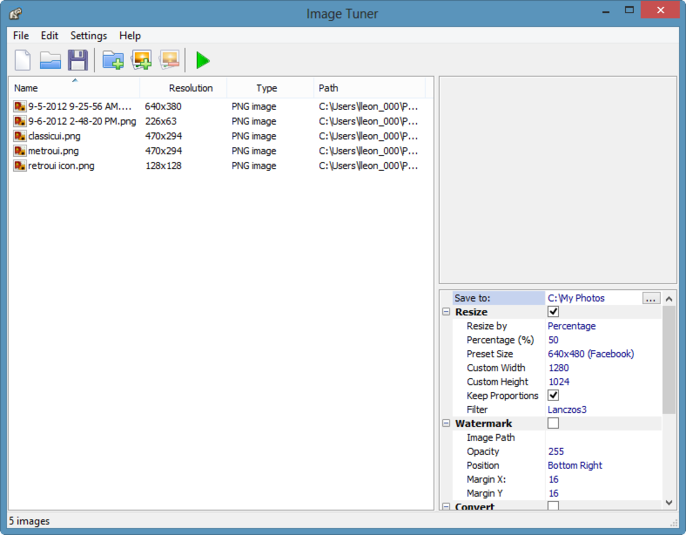 Choose a group of files or a folder and set the output settings, Image Tuner will do the rest. 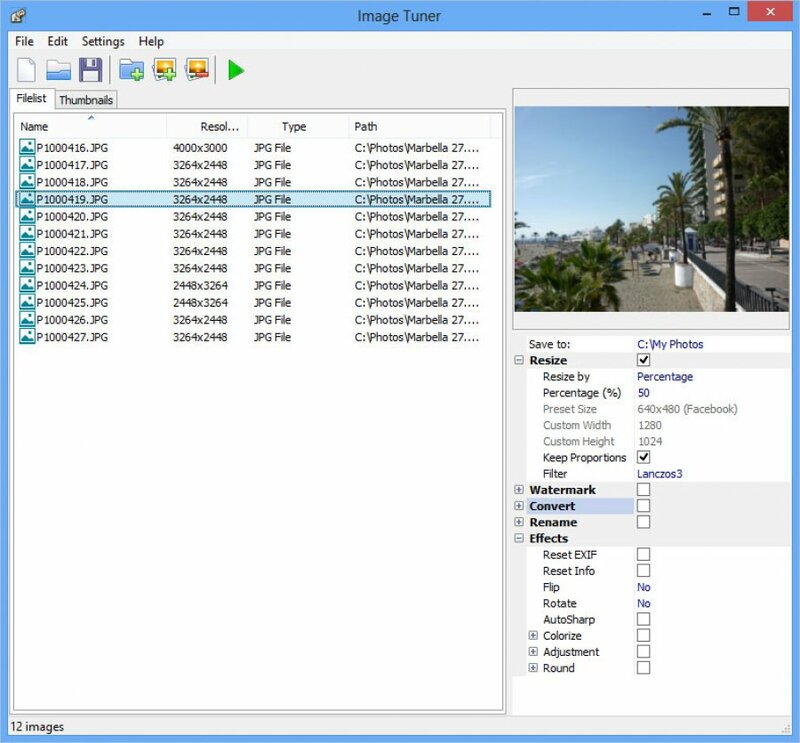 For resizing, Image Tuner offers a selection of preset sizes that are optimized for particular uses, such as Facebook or iPhone viewing, and you can enter custom sizes. 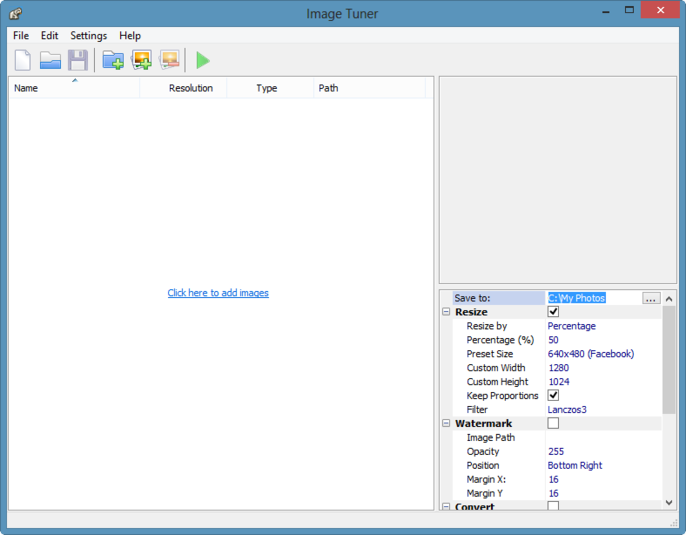 Image Tuner is an intuitive, effective and lightweight batch resizing and converting application.